In pre-civil rights Milwaukee, Rev. Dr. Trinette McCray saw life’s stark contrasts. Separation and strife were common. She carries the memory of her church being fire-bombed. But there were also very positive elements – hope, supportive community and family, church and schools, all of whom invested encouragement in their young people. Trinette attended Morehouse School of Religion and was ordained in 1981. 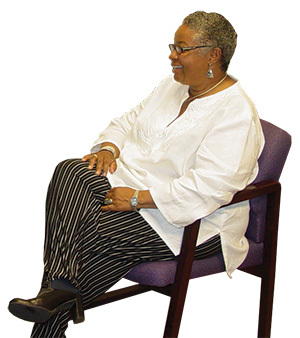 A short time later she took a position at Cardinal Stritch University, where her students began asking, “How do I understand spirituality in light of the African influence?” This question led to her completion of a Doctor of Ministry at Northern with an emphasis in African American Spiritual Foundations. Soon after graduation, she started and became the Executive Director of the Center for Calling and Engagement at Cardinal Stritch University to show young people how to look for and utilize positive resources within their communities and motivate them to serve God fully in college. She also took several leaderships roles with the American Baptist Churches of USA. Trinette served on Board of Directs for five years. In 1998, she transitioned into the role of Vice President, and from 2000 to 2001, she became the first clergywoman to serve as President. Trinette also served from 2004 to 2009 as a county appointed official on the Milwaukee County Ethics Board, which reviews and investigates potential violations of Milwaukee County’s Ethics Code. Trinette continues to lead and build meaningful relationships in her community today. Since 2006, she has served as President of the American Baptists Historical Society, and she is also President of the Housing Ministries of American Baptists in Wisconsin. She shares, “How I minister and teach comes directly from my education at Northern.” Northern has created a rich tapestry of graduates pouring the knowledge they gained into the lives of others and passing along wisdom and insight. Northern’s Centennial Celebration causes one to pause and realize the millions of lives that have been touched and shaped due to God’s work through Northern alumni just like Trinette.